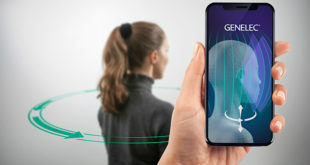 Genelec has introduced the new flagship of its SAM subwoofer range, the 7380 Smart Active Subwoofer. The new model delivers both high SPL and an extended low-distortion LF response in a compact enclosure. 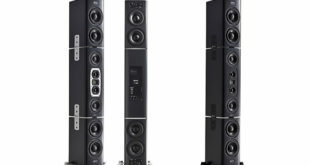 The 7380 can be integrated into any monitoring system from stereo to multi-channel, as well as part of a large-scale 3D immersive setup. The 7380 is designed for professionals in music, post, film and broadcast, and also partners perfectly with Genelec’s “The Ones” series of coaxial three-way monitors, particularly in the creation of immersive systems for those working with Dolby Atmos, Auro-3D and DTS:X formats. 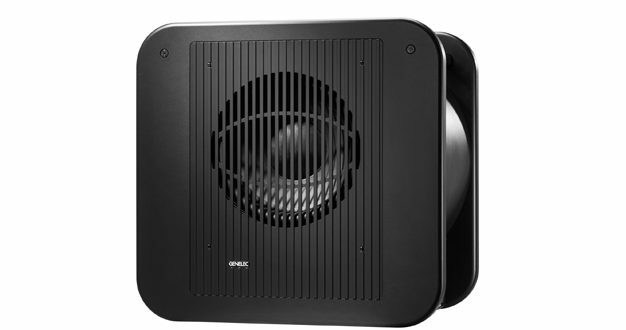 The unit features a newly-designed 800W Class-D amplifier driving a custom 15inch long-throw woofer that, combined with Genelec’s LSE spiral enclosure, produces a maximum SPL of 119 dB (123 dB peak) plus precise low-frequency response down to 16 Hz. Meanwhile, a full complement of DIP switches can be easily accessed on the front panel of the 7380, facilitating a full-featured standalone mode, including advanced calibration for hybrid systems in which traditional main monitors are used. 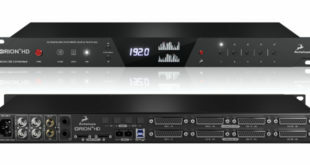 In standalone mode, the crossover frequency is fixed at 85Hz. Finally, for those working with multi-channel audio, the 7380 offers 7.1 channel XLR analogue inputs and outputs, while an AES/EBU digital connection can be used either for stereo operation or for full 7.1 digital with the addition of Genelec’s optional 9301 Digital Interface. 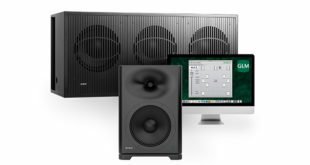 The company has also announced GLM 3, the latest iteration of its Genelec Loudspeaker Management software. GLM 3 will provide each registered user with both local and beta Cloud options, with the ability to switch between the two. The Cloud server offers space to store three full system calibrations – each with 10 groups, amounting to 30 acoustic setups – while a Cloud Helpdesk feature enables users to submit GLM files to access online expert support and advice. The new Reference Level feature allows users to calibrate listening levels in accordance with ATSC A/85 and EBU R128 loudness standards, which combines the in-situ frequency response compensation and system alignment with the listening level calibrated to a loudness reference.